Paul Vincent Regnault passed away peacefully at his home in Coldstream on Tuesday, February 24, 2015. Born April 14, 1924 in Prince Albert, Saskatchewan he was the son of the late Paul and Catherine (Abercrombie) Regnault. He was also predeceased by his wife, Mildred and 2 brothers, Jacques and Raoul. Paul is survived by his children, Terry (Elaine) Regnault of Carleton Place, ON, Joyce (Grant) Milroy of Coldstream, NB, Ruth (Jim) Turpin of Stavanger, Norway, Pauline (Jamie) Snelgrove of Coldstream, NB; 19 grandchildren, Debbie, Steve, Esther, Laurea, Danya, Tamara, Aletha, Shawn, Scott, Sonya, Sheila, Sarah, Shannon, Seth, Joel, Josiah, Tabitha, Rachelle, Jacob; 22 great grandchildren; 2 great great grandchildren. In WW2 Paul served as a mechanic in Italy, France, Belgium and Holland. After the war, he married Mildred Pauline Bearfoot on July 13, 1946. Following the wedding, they moved to Vancouver where Paul studied at the University of BC. After graduating with a degree in Agricultural Engineering, they moved to Toronto where he got a job with Massey Harris. In 1953, he started working as Plant Engineer at Purolator (filters) where he worked for over 15 years. 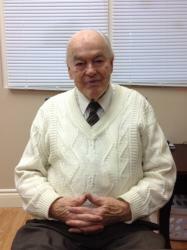 After moving to Cookstown in 1967, he was offered a job as Plant Manager at Baxter Laboratories. He worked there until his retirement in 1987. In 2009 Paul &Mildred moved to Coldstream, NB to be close to two of their daughters. Paul’s passion was serving God through the local church and foreign missions. All of his children served in full time ministry in Canada and abroad.